its various sizes and combinations as well as its special additional features. shape of the textile cover. be equipped with various additional features. 37 m2 to 140 m2 and many possibilities of additional features. loads. The stability at wind speeds of up to 130 km/h is guaranteed. up to 130 km/h is guaranteed. Easy is the high-quality Bahama entry-level model at a competitive price. 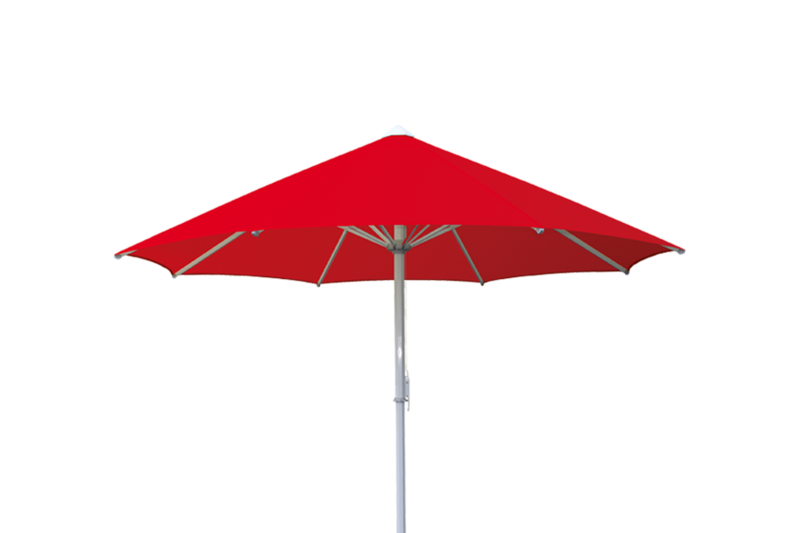 parasol at a fair price and who don‘t have a need for any additional features. It opens and closes via our maintenance-free servo-mechanism. 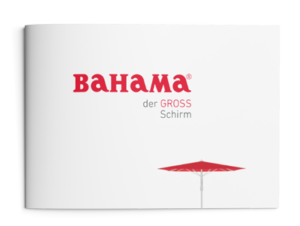 Founded in 1950 today Bahama designs and manufactures a great variety of high-quality large-size parasols and sun sails. National and International customers alike trust in our industrial technology and accurate workmanship. The premium products from Bahama characteristically stand for technical attributes like compactness, durability and wind stability but also for aesthetical features like beautiful designs and materials. »Made in Germany« – our full range production facility manufactures nearly all parts in house. Bahama further processes sustainable and environmentally friendly materials according to the OEKO-TEX 100 standard, Class 1. The combination of high-quality materials and the structural features allows Bahama to guarantee wind stability for its products, depending on the model, of up to 130 km/h. And most importantly: we love customer service – from consulting to installation, from cleaning to winter storage and maintenance. Discover the possibilities of an extended outdoor season. No matter what the weather. Just get to know us! 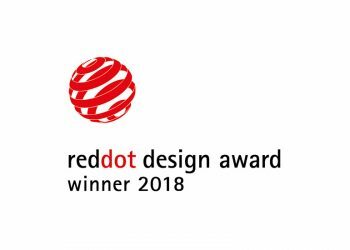 The Jumbrella 4 x 4 wins the prestigious iF DESIGN AWARD 2018. Since 1953 this renowned label has stood worldwide for good design. The independent internatio- nal jury of experts bestowed the coveted seal of quality upon the Jumbrella amongst 6,400 entries from 54 countries. 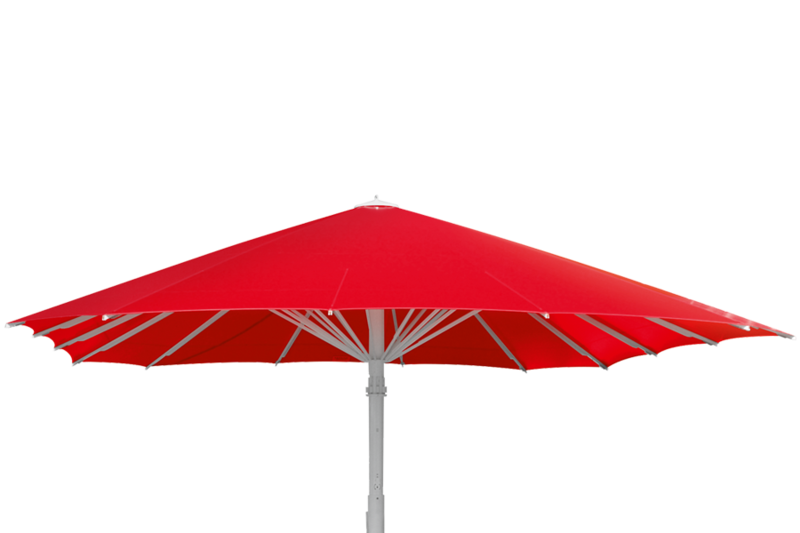 The high design quality of the Bahama Jumbrella has convinced the Red Dot jury of experts. 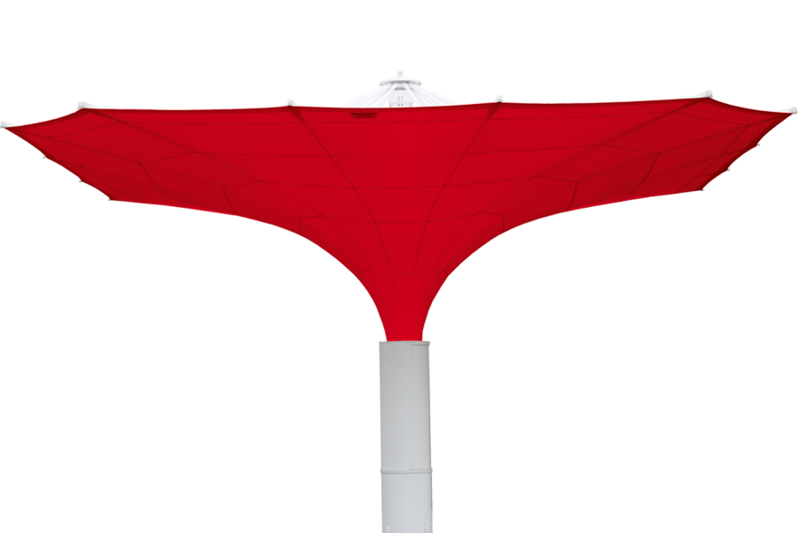 The large-size parasol, which is manufactured in Germany, has been awarded with the coveted quality seal “Red Dot Award: Product Design”. 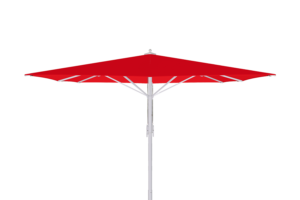 The Event model is appealing to customers who wish to purchase a large-size parasol at a fair price and who don‘t have a need for any additional features. It opens and closes via our maintenance-free servo-mechanism. Jumbrella is our solution for everything. The product line convinces through its various sizes and combinations as well as its special additional features. Jumbrella is our solution for everything. The product line convinces through its various sizes and combinations as well as its special additional features. 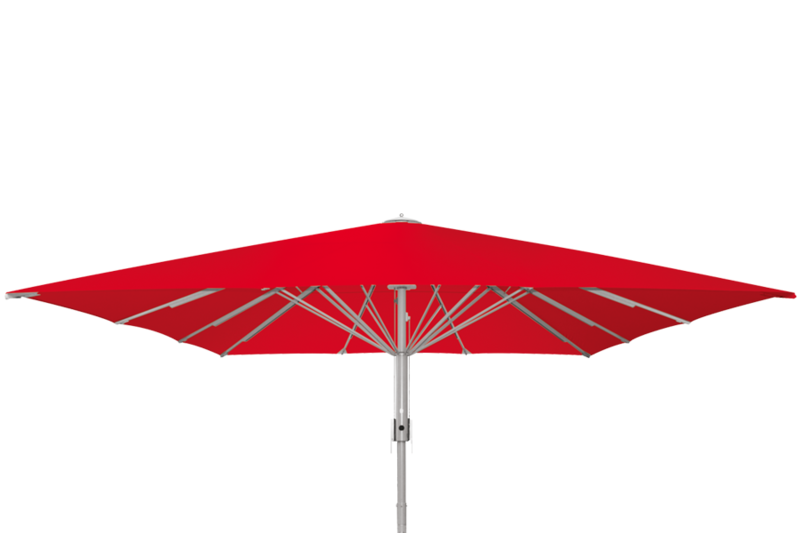 The Jumbrella Wave model distinguishes itself by the curved shape of the textile cover. The Jumbrella XL is the extra-large edition. The space covered ranges from 25 m2 through 37 m2. Our XL-model withstands the highest wind loads and can be equipped with various additional features. Magnum is our premium model with the largest covered space ranging from 37 m2 to 140 m2 and many possibilities of additional features. All components of the structure are designed for the exposure to enormous loads. The stability at wind speeds of up to 130 km/h is guaranteed. Largo is our technically most elaborate model. As it opens up like a tulip it stands out by its extraordinary as well as elegant shape. 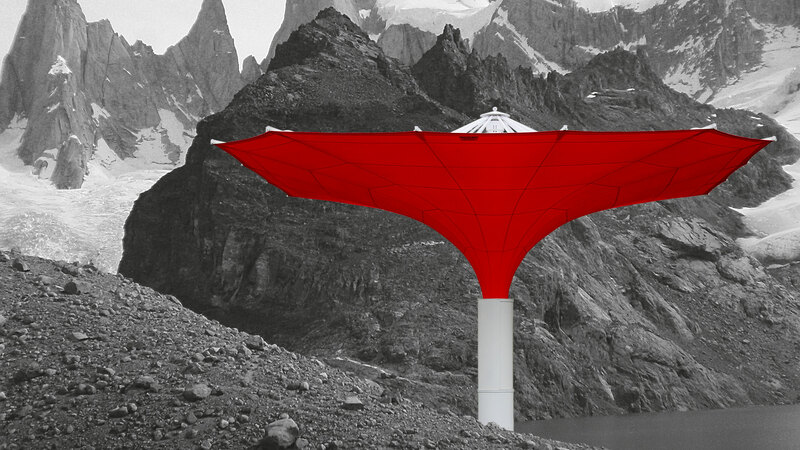 The principle of a parasol is literally „turned upside down.“ The stability at wind speeds of up to 130 km/h is guaranteed. 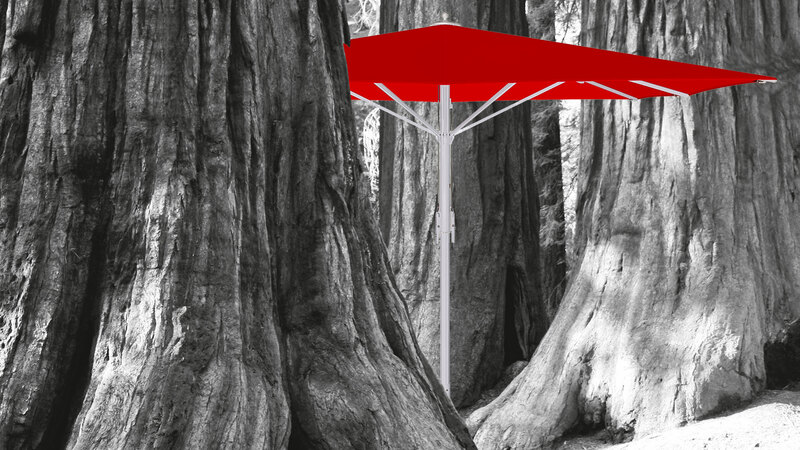 An international jury evaluating design quality honored the Bahama Jumbrella with a Red Dot Award for product design. 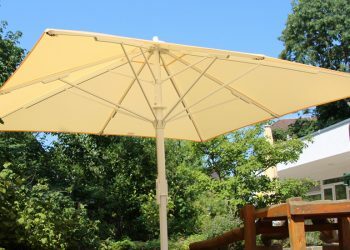 The umbrellas feature spoke membrane integration, exchangeable spokes, an internally strengthened center pole and a patented, maintenance-free servomechanism. 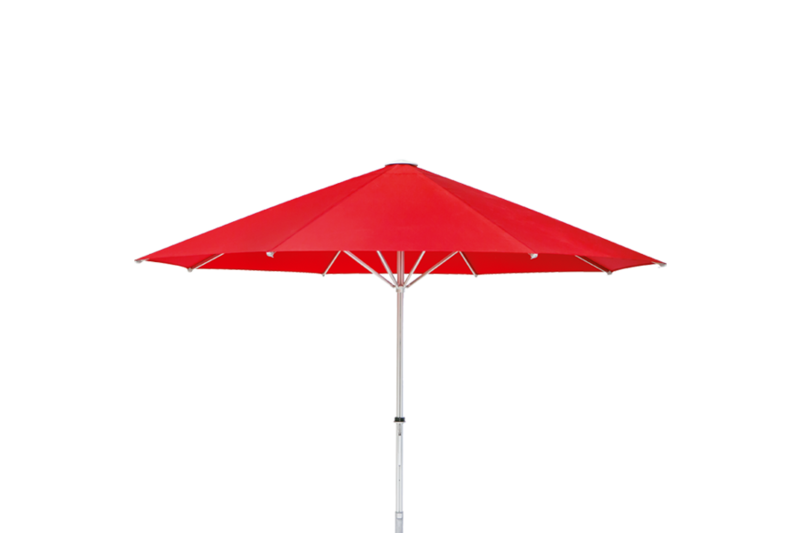 The umbrellas are designed to endure heavy strain while remaining durable and safe, according to Bahama. 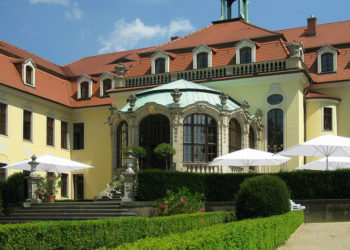 The square-shaped umbrellas also come in a variety of colors. 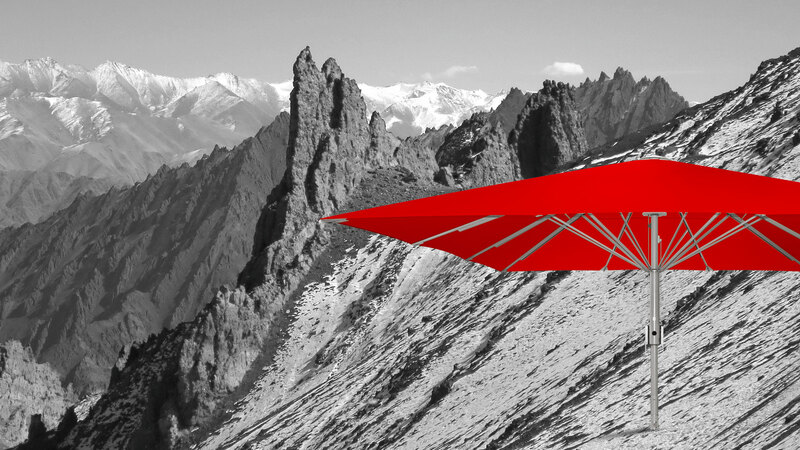 Now, we are literally setting sail and have expanded our product range to include the high-end Shade Sails from the innovative brand C4sun. Whether in rainy autumn weather or on a bright sunny day: children need as many opportunities as possible to play outside or dream up castles in a sandbox. The various kinds of gastronomy like cantinas and cafés are much more than just »places to still the hunger for larger groups«. Especially health and care institutions like hospitals, retirement and nursing homes not only offer a place to obtain affordable food and drinks, but are a valued place for talking and coming together. 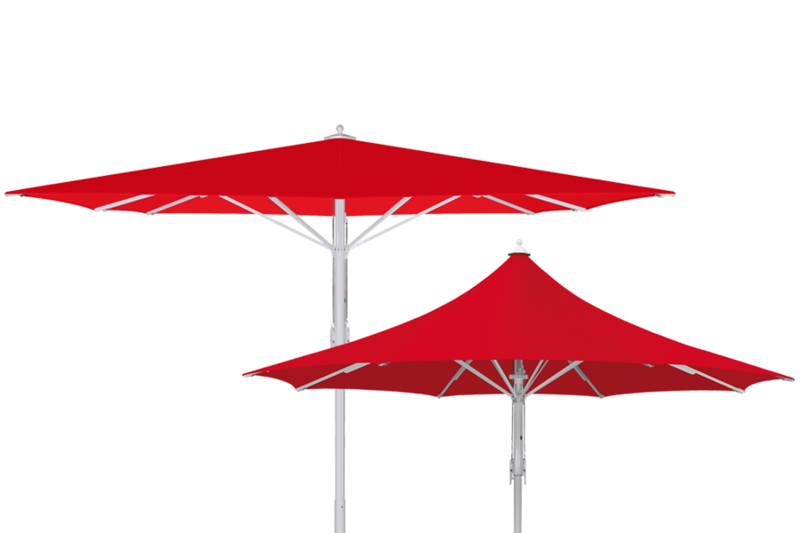 Founded in 1950 today Bahama designs and manufactures a great variety of high-quality large-size parasols and sun sails. 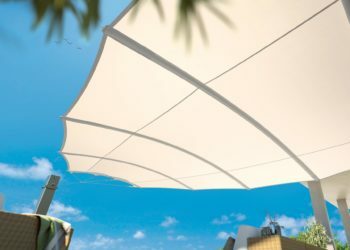 The premium products from Bahama characteristically stand for technical attributes like compactness, durability and wind stability but also for aesthetical features like beautiful designs and materials.